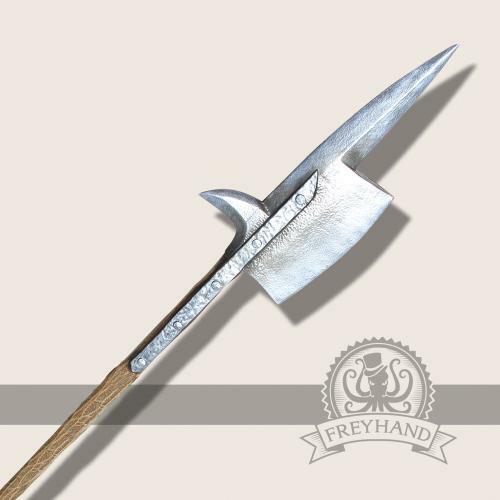 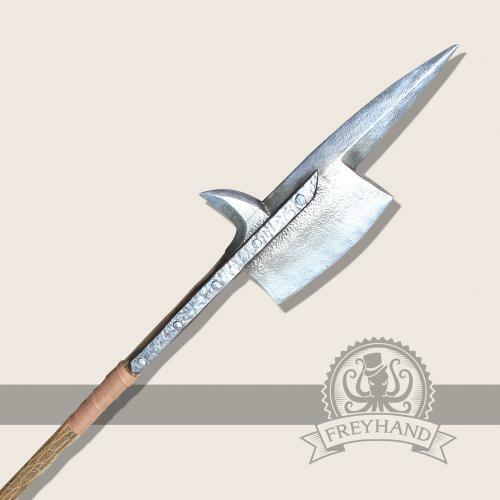 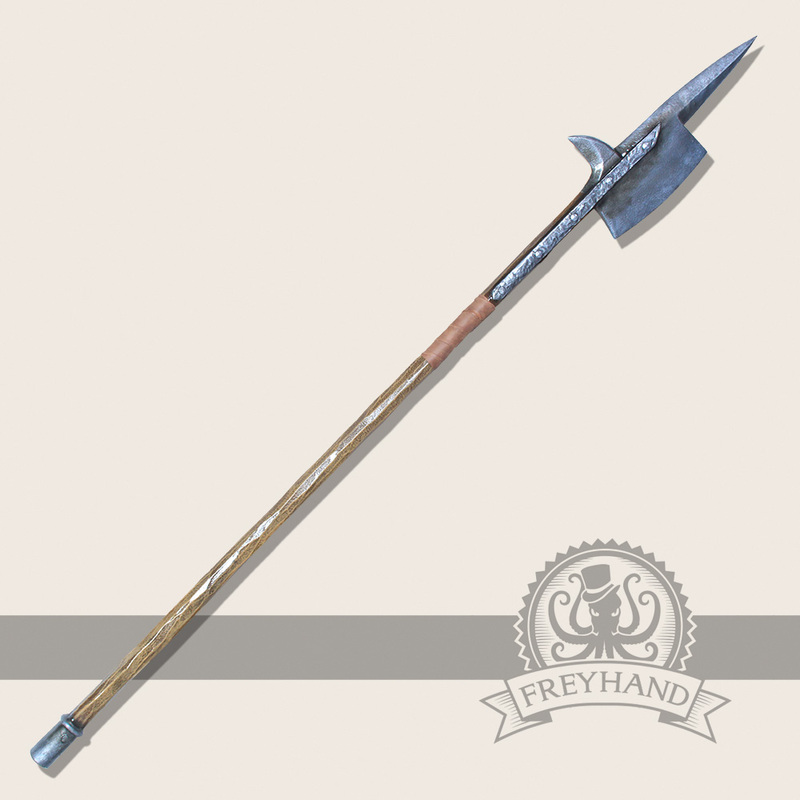 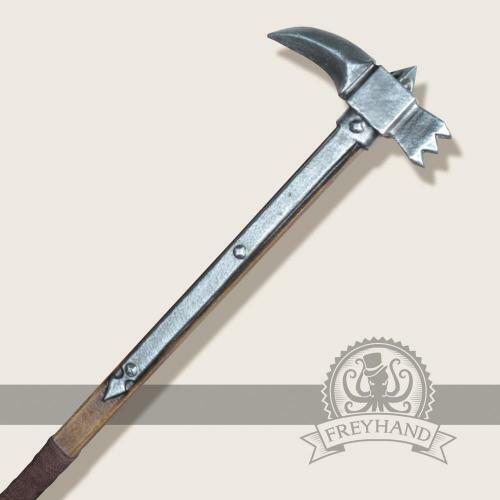 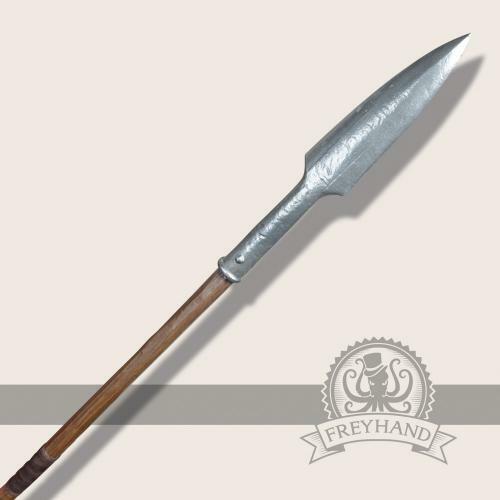 A typical halberd in the classic design, barbed hook and pike at the top. 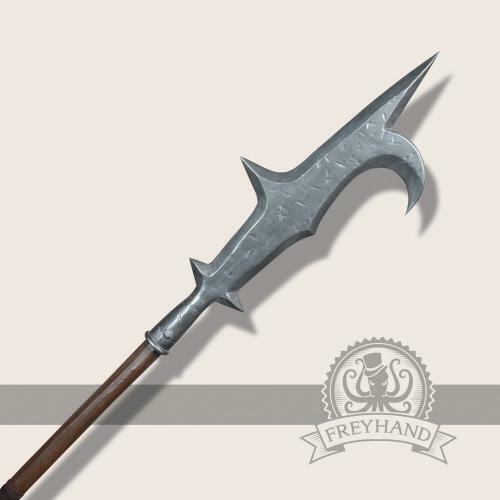 It is ideal for attacking from the second row of a shield row. You should never underestimate a bunch of halberdiers. This variant has a length of 195 cm, there is also a longer variant with 220 cm from our range of combineable pole-arms.